I chose the title for this web log from Neil Young's song of the same name, which honored a classic automobile - one that was a huge part of his life. I just finished the book two days ago and my own personal roadster was finished today. More on that in the coming days. Young is well-known for his enthusiastic love of Lionel trains, clean energy, and enhanced digital sound quality. But nothing is a greater supporting player in this book than Neil Young's personal vehicles, which he names. "Mort" (short for Mortimer Hearseburg) was great for loading a whole band, their equipment, and some groupies if they were lucky. WN Ragland, Nanu The Lovesick Moose, and Pocahontas are all vessels of adventure on the American and Canadian road. His passion now is for The Lincvolt, which blends his love for huge, fancy, classic cars with a clean energy footprint. It's that divergence that sort of defines his career. It's why the hypnotic, acoustic My My, Hey Hey is on the same album as the brash, electric Hey Hey, My My. 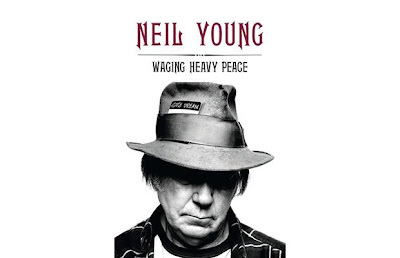 Waging Heavy Peace was actually one of the strangest books I've ever read. The stream of consciousness from the now-clean Young is also symbolic of career. He worked incessantly creating music and he put so much out there to find brilliance, which he so often did. This book does much of the same. Young's 497 pages jump around in time and space, in frame of mind and subject. But he always prefers record compositions to songs, so his 68 chapters have to add up somehow. But maybe not, by his own admission he was never straight during his musical career. "I like to play to an audience that is into it. I dislike people sitting in the front row talking on cell phones. Of course these people are sitting in the most expensive seats, the ones they get through ticket scalpers and other services...Capitalism collides with music in this area. It was not like that when I started. The people in the front row were the music freaks, the real music fans, who knew every song, every lyric, every piece of information about the band that they could find. They were stoked to be there in front of the stage, and ready to rock. So these cell phones and rich folks who can afford the big bucks for prime seating distract me from what I am doing and make me feel like I am on display in a museum." The subject of him not being high anymore also comes up from time to time, usually when he's walking on the beach in Hawaii or going on a road trip with the dog. "So now I am in the song machine gone awry. I wander the halls of straightness, not knowing how to hallucinate. Finally the course is clear and the sound of the waves on the rocks is fading. The fog is clearing and there is so much sea." Reading this book is often about separating the fog from the sea. 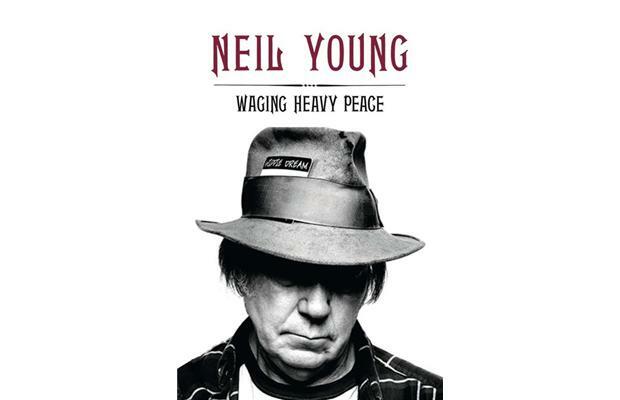 But for those of us who appreciate the journey to the destination, or album sides to singles, Waging Heavy Peace is worth the ride.